JuneauEmpire.com has news of something a bit unusual happening in Juneau, a Navy/Coast Guard mine countermeasures exercise. Doing mine countermeasures in Alaska is not easy for the US Navy because basically, the only navy in Alaska is the US Coast Guard. Formerly the mine countermeasures ships were highly specialized, but they are now moving to using LCSs which are based in either Mayport, FL or San Diego, CA. In either case it would take a long time for them to get to Alaska. The Helicopters, divers, and unmanned systems can be flown there, but they will need support including work space, communications, and ground and water transportation. The divers and unmanned systems will require supporting craft unless the mining is done very close to shore. The less they have to bring the better. That is apparently where the Coast Guard comes in. It sounds like this is all preliminary to a more complex exercise in 2020. One of the activities was touring the Webber class John F. McCormick (WPC-1121). Presumably the WPC was brought up from its homeport, Ketchikan, specifically for this purpose. 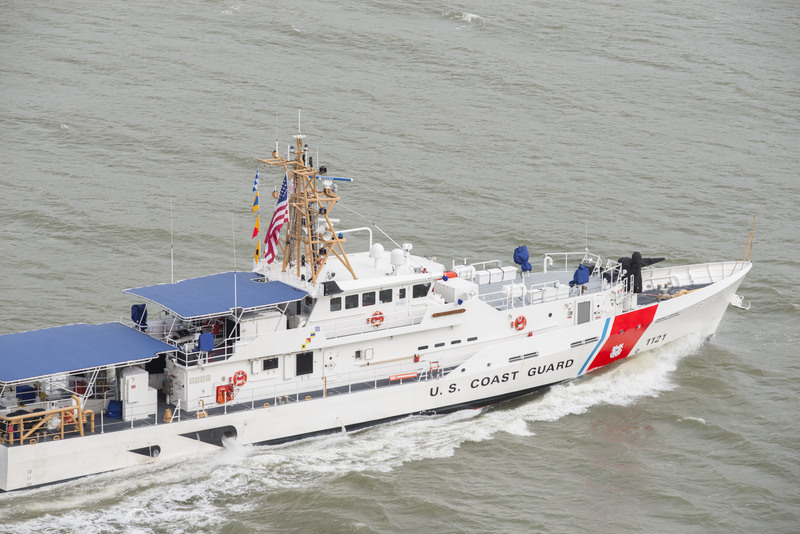 Perhaps they are already familiar with Coast Guard’s buoy tenders, but they could also be very useful in supporting diver and unmanned systems operations. As for where the 2020 exercise should be done–Cook Inlet–since Anchorage is the only strategic port in Alaska. Exercise results would also probably be more universally applicable if it is done away from the facilities of the District headquarters in Juneau, which are not available elsewhere in Alaska..